While the housing market continues to experience rising prices, the land market on average has held fairly firm on prices since midway through 2015. I’ve seen this trend in my business for about 6 months now and there are two reasons for this. First, competing offers are quite common and when that happens only one offer can be accepted while the others will fail. Second, overpriced properties are losing out. When buyers are submitting offers on properties, they are at the buyer’s perceived value range regardless of list price. When the seller values the property differently, the offer fails. 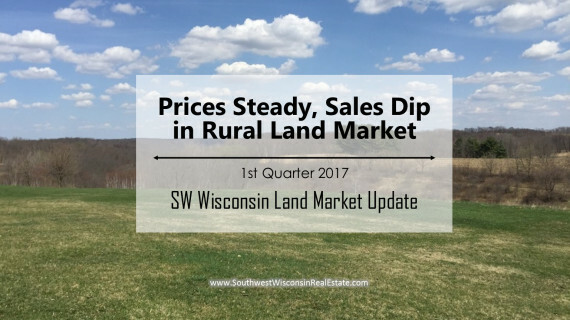 More acres sold during the 1st quarter than any other quarter in the last year. 2,852 acres sold in 29 transactions for an average parcel size of 98 acres. Strong demand continues for nice properties 40-80 acres, although larger properties that are priced fairly get a lot of attention. After a fairly calm and steady fall/winter season, Spring has brought a flurry of activity. This is an advantageous time for potential sellers to put properties on the market.